I have a 2010 Camry SE with 2.5. I got a P0012 code. I replaced the oil control valve and reset the code. Was fine for about two weeks then the code came back. I pulled the oil control valves (it has 2) and they both had trash in them again. This all started after I had the oil changed. Does the oil filter not keep this stuff out? And is it possible that the oil filter cartridge could have been left out? I am confused as to where this is coming from. Has anybody seen this before? Can someone tell me what I need to do next? This could get expensive. Any thoughts on what I am looking at would be greatly appreciated. Car has 127,000 miles on it. Who is doing repairs and oil changes? What is your oil change interval and type of oil used (conventional or synthetic)? The screens can and do plug up with debris even with proper filter changes. An oil filter change should not cause more debris in the engine oil system. It has happened the oil pipe in the oil filter canister assy breaks off during improper installation. The result would be unfiltered oil. If you do your own repairs, check for the presence of the filter, condition of filter (not breaking down) and for a damaged pipe. Also check for engine oil sludge. I have a 2010 Camry with 2.5l engine. I am wanting to replace the VVT-i oil control valve filter. I know it is under the valve cover but don't know where. 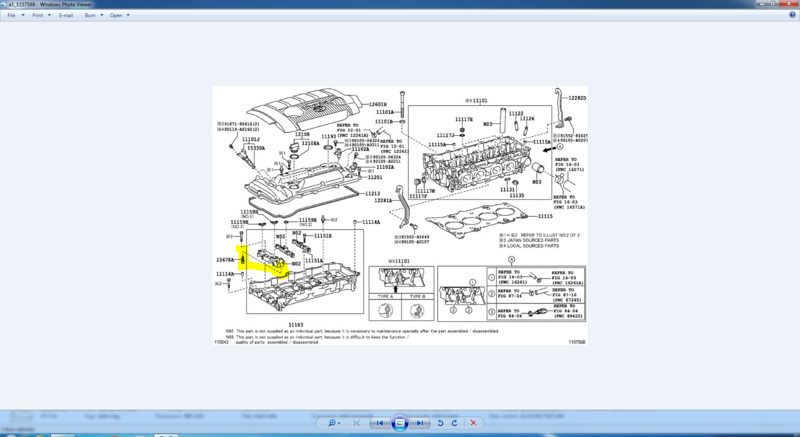 According to the exploded view on the Toyota parts website it looks like it is under the cam bearing cap. Anyone replaced this before and can tell me if that is true? What am I getting myself into? Help! I replaced the oil control valves (they had trash in them) and I am getting intermittent P0012 codes. They will come on for a while and then go away only to come back later. Thanks for the article. I have read that one twice. It doesn't show my application. My engine has dual VVT-i and the filter is under the head cover. 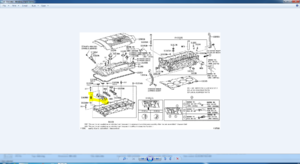 The diagram on the Toyota parts website seems to indicate that the filter is under the cam bearing cap. I have attached the diagram with the filter highlighted. I believe I can do the job, but I need more info. I need clarity on exactly where that filter is. Do I have to remove the bearing cap or is it under a bolt? It appears the cap needs to be removed to access the filter. Before removing, try to rotate the cams until the valve spring load is off the front lobes. This will limit bending loads when the cap is removed. So Bassman where are you now on the repair?